Home / Asia / Travel and Living / 10 things unique about Brunei compared to other South East Asia countries. Most countries in South East Asia are over populated, but Brunei seem to have very less population in its capital. Streets are often empty, hardly a few vehicles at a traffic signal, no crowd for anything. Thus you will be pleasantly surprised how pleasurable life will be if there were less people around. 2. No Dependency on Tourism. Many South East Asian economies rely heavily on tourism, running various promotions/schemes to attract more tourists. The result is most of these cities/attractions are often more crowded- residents + tourists + vendors/service providers catering to the tourist crowd. In contrast, Brunei is a relatively rich country and doesn’t care too much about tourists visiting or not. 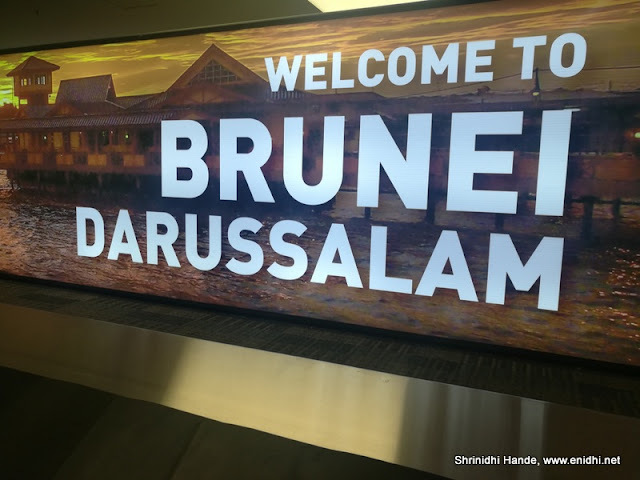 Brunei don’t actively promote their country as tourist attraction. You will not find any accounts on facebook promoting visit to Brunei, they don't any evisa/ free visa (say for those with US/UK visa) scheme for tourism purpose. As such there’re very few residents in Brunei. The combined result is a sort of emptiness or crowd-less experience visiting places of interest. Even the roads can be seen fully empty at many instances. The result of above 2 implies you can get from one part of city to another in a matter of minutes, provided you have a transportation. 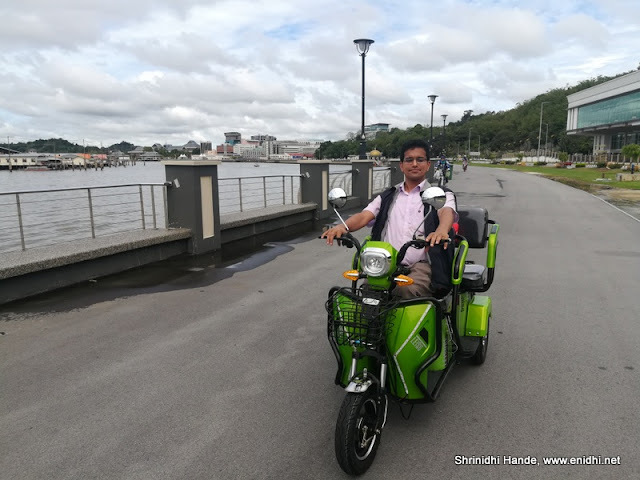 Google maps suggested a travel time of 13 minutes for 9 km distance from city centre (Bandar Seri Begawan) to airport, on a Sunday morning 10 AM. Hard to achieve on most of the capital cities. There’re very few vehicles on the road, so wait at traffic signals is minimum. Large parts of Brunei is forest area- Brunei has some of the best preserved every green forests. Only a small part of it accessible to public and some more to experts. While landing I could see a vast green coverage with one narrow road going in between- would love to drive on that road some day. Brunei people speak Malay language. Brunei has its own currency (BND) but it matches almost 1:1 with US dollar. So most hotels and establishments in Brunei also readily accept SGD. They don't seem keen to accept Malaysian Ringgits. This is one thing I keep an eye for while visiting new countries. Brunei has nice tender coconuts- more similar to what I had seen in Indonesia and Philippines than Thai ones. Most shops sell tender coconut for 2 BND a piece- totally worth it. 7. Limited public transport- 1 dollar from anywhere to anywhere! 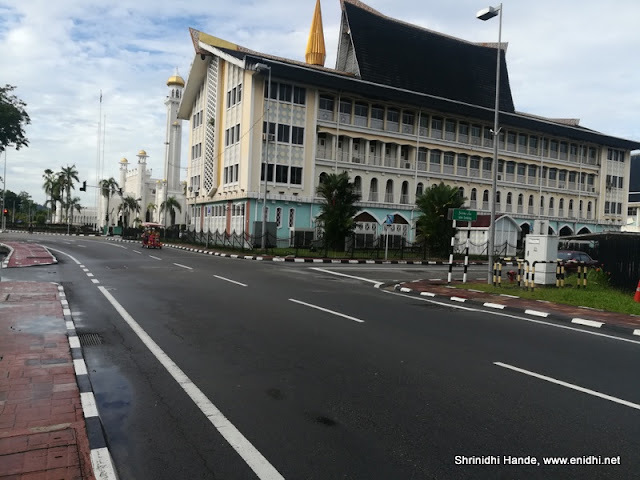 Cities world wide have public transport from early morning till late night- but in Brunei, buses seem to stop running post 6 PM (which is too early by any standards). Plus, it is not easy to hail a taxi on the road- except some designated places where you may find a taxi easily, finding a taxi is hard. Thus most tourists are forced to take up package tours operated by tourist companies. I have compiled a separate post on Brunei's bus systems here. 8. Drive in via Malaysia. Brunei has land border with Malaysia (Not Mainland Malaysia where Kuala Lumpur is located) and you can drive into Brunei with your Malaysia registered cars. Fuel in Brunei is super cheap compared to Malaysia but some prohibitions apply if you enter Brunei for the purpose of filling your tank. Brunei's Sultan has lots of stories on him. Apparently when he is in office, his Rolls Royce is always kept with its engine running- they don't want to waste even a second starting the engine, should the king wish to go somewhere. Similarly the Sultan is said to have some of the widest and finest collection of luxury cars in the world. On select days in a year King's royal residence is opened to public with public receiving gifts etc. So if you're excited by above uniqueness about Brunei, do plan a visit. You can either plan a direct trip from India on Singapore Airlines, Malaysia Airlines or Air Asia, or alternatively, Use Brunei Airlines to visit Brunei from other major cities around the world, such as Manila, Bali, Dubai and so on.